Pro bono service refers to work performed or provided without charge to benefit a cause or for the good of the general public. Some expenses for performing pro bono services are tax deductible, but many are not. Although most people think of legal services, pro bono services can be other things as well and many other types of professionals donate their services free of charge (accountants, doctors, etc.). The IRS is a little fussy about what constitutes professional services and simply provide a service does not mean it constitutes pro bono work. It is important to distinguish between donating professional services and simply volunteering time and labor because volunteer hours are generally not tax deductible. You can learn more about how the IRS distinguishes between pro bono services and volunteer services in, Are Pro Bono Services the Same as Volunteer Services? IRS.gov: "Although you cannot deduct the value of your time or services, you can deduct the expenses you incur while donating your services to a qualified organization." Now, this may seem clear, but it is not always so simple. For example, if you paid an employee $500 specifically to make a website template for a charity, then gave the template to the charity for free, you incurred a tangible expense - the $500.00 paid to the employee and that might be tax deductible. In most cases you cannot claim a deduction for the value of your own services or hourly costs (wages you paid to yourself), in fact doing so could trigger an audit. Let's say you are a marketing consultant and you donate 50 hours to a charity to help them with their marketing. Your professional time is not tax deductible. But let's also say you had to travel to the charity to meet with them -- travel-related expenses may be considered tax deductible because it was a direct expense tied specifically to the donation of your professional services. Examples of expenses you may be able to deduct, or partially deduct, include the cost of supplies needed to provide or perform the service that directly benefited the charity; travel expenses; and other direct expenses. 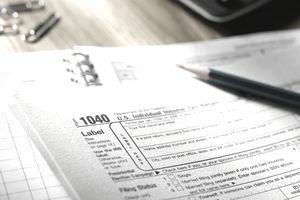 To take any type of charitable deduction, including deductions for pro bono services, the burden is on you, the donor, to prove a donation was made. It is important to save all receipts and to get a receipt from the charity. If you cannot substantiate all expenses, the IRS can deny the deduction. Typically, you cannot deduct the cost of equipment purchases. For example, you could not deduct the purchase of a computer to set up a donor management system unless you also gave the computer to the charity. And, you could not deduct the cost of a postage machine to do a mass mailing more efficiently, but you could deduct the cost of postage. The IRS will typically deny the deductions in which an individual or business substantially benefits more than a charity. In most cases, in order to claim the percent deduction (charitable donations of any kind are not 100% deductible), you may need to claim income for the value of the job, even though you did not get paid. Never try to deduct the cash value of your services for professional or service fees without talking to an accountant. In most cases, you will not be able to take any deduction for such fees.